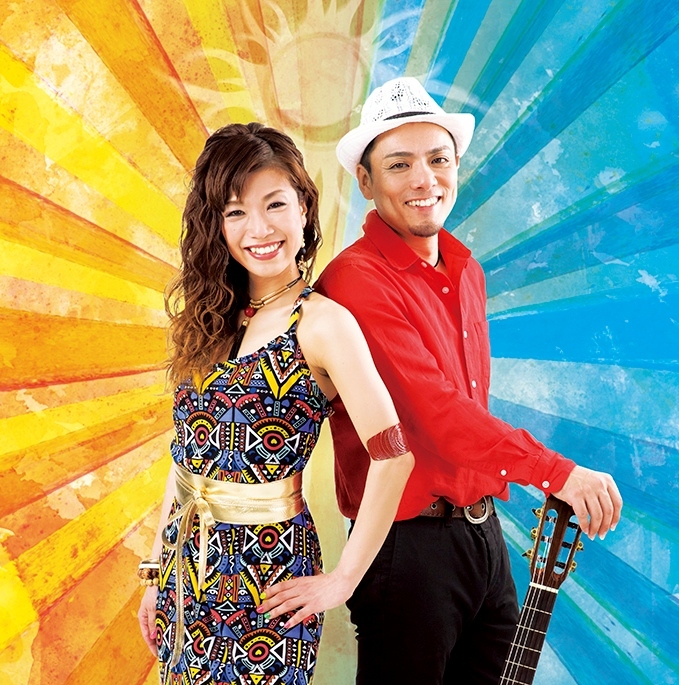 Miki and Shinji conform the okinawan latin music duo Soluna.After leaving the salsa band Kachimba 1551 , Miki and Shinji get married,And start their own carrier, combining their musical gifts as Soluna in 2007. Soluna sound is a mixture of Latin flavor (thanks to their Latin musical background ) and their own unique groove, which is spiced up with the essence of Okinawan traditional music. Their music breaks barriers and can be enjoyed from little kids to Big adults at the same time, putting a smile in your heart, and making you dance and sing even if you don’t know the lyrics, and your don’t how to move. That is their magic. In 2014 they start a new project; Make a healthier Okinawa with dance. (Okinawa de ganju dance projecto),which consisted about dance workshops for children and Soluna show events. The profits from this project was donated to The Okinawa Child welfare facility. Soluna is very involved in social welfare activities, showing their concern on this matter. In 2015, Their song Mixta Champloo is chosen to be included in the CD; Music from Okinawa 2015-2016, which introduces the most characteristic artists in Okinawan music scene. This CD is presented at the WOMEX 2015 in Budapest-Hungary.OCHO is the name of the 5th CD released by Soluna in 2015, which includes Mixta Champloo . In 2017 celebrating their 10th anniversary Soluna is more active than ever! Soluna new CD. ; NISSHINGEPPO (Always forward, one step at a time). Will be released on September.They will be touring all Japan, promoting their new CD and sharing their art. They also advanced overseas including Taiwan, South Korea, etc., spreading Soluna’s music all over the world and disseminating it. 2019 © soluna All rights reserved.